This business card uses standard printing techniques but has a clever and humorous twist that makes it very different. 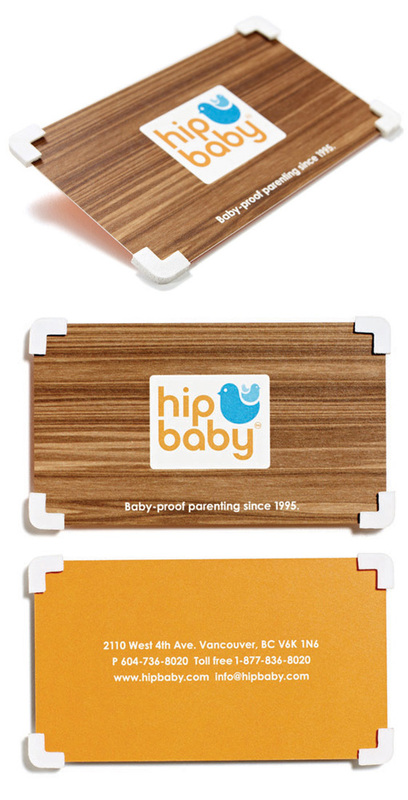 Since this type of store sells a lot of products to baby-proof the home some simple foam corners were added to the cards to make a "baby-proof" business card. The idea itself is cute and fun but the design of the card still manages to stay stylish. The foam corners add a 3D element which invites people to think about and respond to the card.